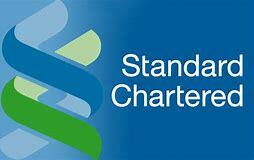 (newZWire) Standard Charterd Bank plc is to pay US$18 million in fines to the US government for violating American sanctions on Zimbabwe by handling transactions for state-owned firms and sanctioned individuals. The bank is being fined for allowing 1,795 transactions worth close to US$77million. Under sanctions first imposed in 2002, and renewed annually since then, the US restricts the movement of money owned by Zimbabwean state firms and individuals on its sanctions list. “Separately, between May 2009 and July 2013, SCB Zimbabwe processed transactions to or through the United States involving Zimbabwe-related Specially Designated Nationals (SDNs) or entities owned 50 percent or more, individually or in the aggregate, by one or more Zimbabwe-related SDNs. These transactions constituted apparent violations of the Zimbabwe Sanctions Regulations (ZSR), 31 C.F.R. Part 541. SCB will remit $18,016,283 to OFAC to settle civil liability relating to the apparent violations of the ZSR,” the US Department of the Treasury’s Office of Foreign Assets Control (OFAC) said in a notice Tuesday. According to the charges, the total base penalty amount for the bank’s Zimbabwe-related violations is US$26,690,789. OFAC says both Standard Chartered and its Zimbabwe unit (SCBZ) “appear to have had actual knowledge regarding customer relationships that SCBZ maintained with persons identified on the SDN List over a period of several years”. The conduct, the US government says, “resulted in significant harm to the sanctions program objectives embodied in the Zimbabwe sanctions regulations”. Standard Chartered is the latest bank to fall foul of US measures on Zimbabwe. Earlier in 2016, to avoid offending the US treasury, Standard Chartered ordered IDC to close its accounts with the bank. Standard Chartered’s fears were not unfounded. Earlier, Barclays plc had paid a US$2.5 million settlement to the US Treasury after processing 159 transactions worth US$3.4 million between 2008 and 2013. The transactions were mostly for its client IDC and its subsidiaries. In 2017, CBZ was subject to OFAC investigations over 15,127 transactions, carried on behalf of then sanctioned ZB Bank. OFAC was reported to have imposed a penalty of US$385 million on the bank, leading CBZ to sack its CEO and issue a cautionary. OFAC regulations are partly why many international banks have cut off Zimbabwe. According to RBZ data, Zimbabwe has over the past decade lost 102 correspondent banking relationships (CBRs), the links that make it possible for a customer to make international payments.